Next-generation necklace designers can get their start with this DIY Starburst Glitter Jewellery kit from Make It Real. Create three starburst necklaces and two bracelets using metal pendants, glitter and sparkle all day long! 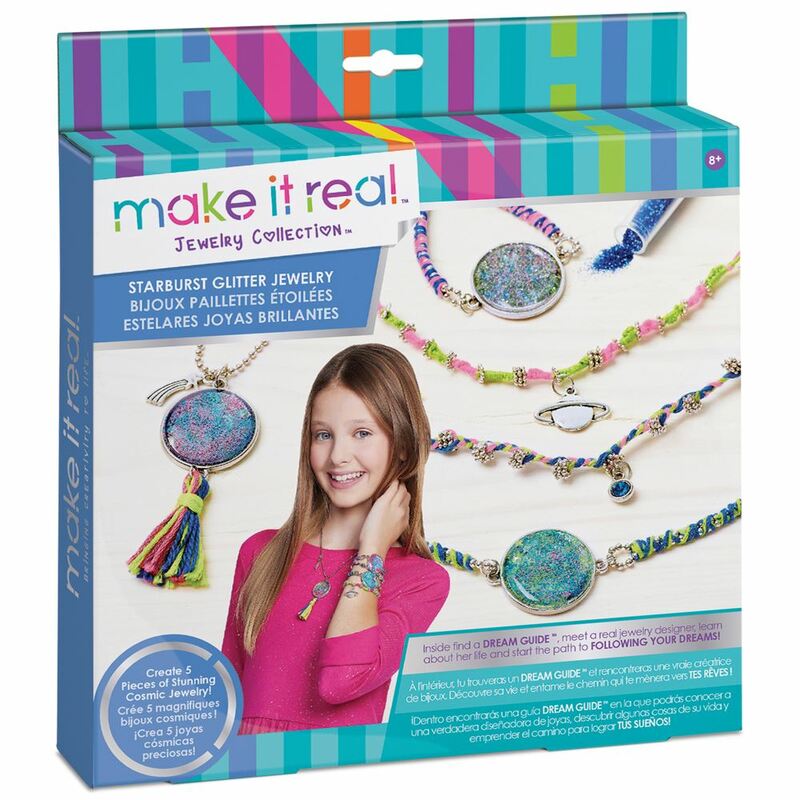 Includes: 3 metal pendants, 3 domes, 3 colours of glitter, star spangles, a ball chain, embroidery thread, glue, an assortment of beads, charms and a dream guide. Age 8+ years. Part of the Jewellery Collection. Distributed in New Zealand by Holdson.